Here's a picture of a smiling alligator. 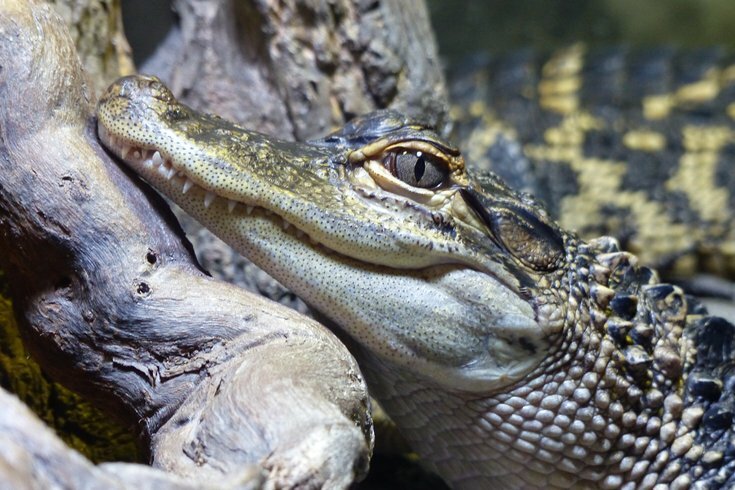 The Mullica Township Police Department is warning residents to be cautious with their small pets: an alligator has been on the loose since 4:45 p.m. Tuesday. Not your normal backyard wildlife, that's for sure. As of 3:50 p.m. Thursday afternoon, the police department told the Press of Atlantic City, the animal has still not been located.